ASUS has finally announced the launch date of its much-awaited ZenFone Max Pro M2 in India. The forthcoming handset has been doing the rounds of interwebs ever since its Indonesian launch was teased for December 11th. However, in an interesting turn of events, the ASUS ZenFone Max Pro M2 India launch is also set on the same day. Along with rolling out press invites, the Taiwanese brand has also teased the launch on the social media. 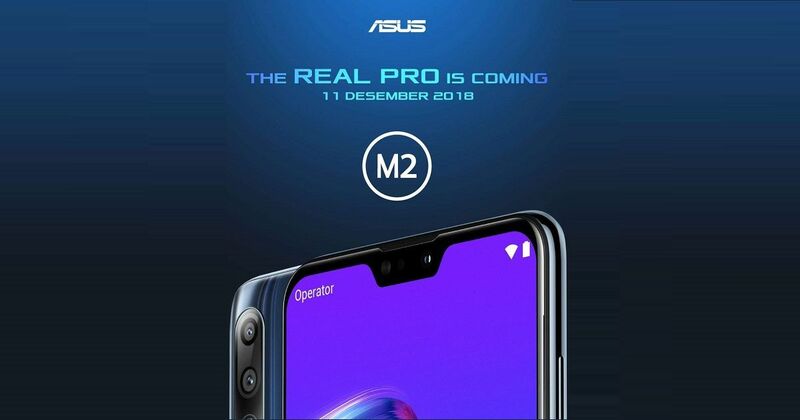 The teaser suggests that ASUS will continue its long-standing partnership with Flipkart for the launch of the ZenFone Max Pro M2. Sadly the tweet doesn’t mention if the device will be going on sale on December 11th itself. The ASUS ZenFone Max Pro M2 price in India isn’t known at the moment, but it’s expected to be somewhere around Rs 15,000 to better compete against the rivals like the Xiaomi Redmi Note 6 Pro (review) and Realme 2 Pro (review). Based on previous reports, the ZenFone Max Pro M2 is said to sport a notch-toting display and dual rear cameras. In a teaser, the brand has confirmed that the smartphone will come with a three-axis EIS and the primary shooter will utilise Sony’s IMX486 sensor with a wide aperture of f/1.8. The successor to the ZenFone Max Pro M1 (review) will also continue with a powerful 5,000mAh battery to juice up the package.